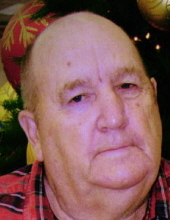 William “Bill” E. Waterman, 82, of rural Farmington, Iowa, passed away at 11:58 a.m. Tuesday, April 2, 2019, at Great River Medical Center, West Burlington, Iowa. Bill was born on April 8, 1936 in Burlington, Iowa, the son of Tim and Olive (Kissick) Waterman. On October 15, 1960 he married Ava Blythe in LaHarpe, Illinois. He is survived by his wife: Ava Waterman, three daughters: Julie Waterman of Burlington, Iowa; Jill (Brad) Crile of Wayland, Iowa and Beth (Lynn Even) Waterman of Stephen City, Virginia; two brothers: Leroy (Ann) Waterman of Stronghurst, Illinois and John (Linda) Waterman of Branson, Missouri; one sister: Shirley (Dale) Stevenson of New London, Iowa. Also surviving are nine grandchildren and seven great grandchildren. Bill was preceded in death by his parents; three brothers: Sam Waterman, Harold Waterman and Melvin (Karen) Waterman; three sisters: Doris (Joe) Peterson, Vivian (Ed) Brill and Catherine Waterman and one great grandson, Camden Allen. He attended country school through eighth grade and graduated from Media, Illinois high school in 1954. Bill was lifetime farmer and livestock trucker. He also ran the Middletown Livestock Auction in the 1970’s. After that, he worked in two sale barns in Kahoka, Missouri. He loved to watch NFL football games and was an avid Chicago Bears fan. He also enjoyed watching western movies, rodeos and country music on T.V. Funeral services will be held at 2:00 p.m. Monday, April 8, 2019 at Schmitz Funeral Home in Donnellson, Iowa with Pastor Ryan Dexter officiating. The family will meet with friends Monday from 1:00 p.m.-2:00 p.m. at Schmitz Funeral Home. Burial will be in the Croton Cemetery near Croton, Iowa. A Memorial has been established to the American Diabetes Association. To plant a tree in memory of William Waterman, please visit our Tribute Store. "Email Address" would like to share the life celebration of William Waterman. Click on the "link" to go to share a favorite memory or leave a condolence message for the family.